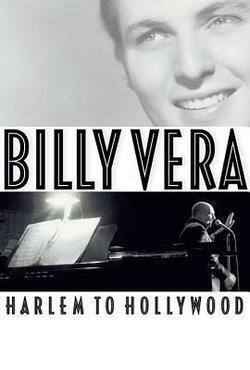 A showbiz lifer, Billy Vera was born into a white, suburban family, but Billy fell for black music as a child and started down a winding performer’s path that would buoy him the rest of his life. In the 1960s, he paid his dues by songwriting (for other artists) through the day and playing clubs at night. By 1967 he and soul singer Judy Clay, the first interracial duet to perform at the Apollo, tore the house down with a a song he wrote for himself: ‘Storybook Children’ – a commercial hit produced by Atlantic Records. Through the 1970s, popular taste shifted drastically. Blue-eyed soul went out of fashion, Billy hit tough times – but Dolly Parton recorded his song ‘I Really Got The Feeling’ which went to number one on the charts. Vera moved to Los Angeles, formed a new working band, Billy and The Beaters, and charted twice before the close of 1981 with songs from their eponymous album recorded live at the Roxy. Five years later, one of these hits, ‘At This Moment’ was featured in several episodes of NBC’s soap opera ‘Family Ties’ . The song rocketed up the charts and a Billy found himself with number one single. In addition he produed albums for artists such as Lou Rawls, for Blue Note and contributed to reissue projects including specialist box sets of R&B and jazz greats and musicians and he is a regular contributor to specialist music R&B magazines such asthe UK published Blues & Rhythm. He has also a star on the Hollywood Walk and Fame and a Grammy Award. His new biography will be published by Backbeat. This entry was posted in 45 rpm, Americana, Blues, Cassette, Compact Disc, Film -TV, Jazz, Magazine, Rare Records, Rhythm & Blues, Rock & Roll, Roots, Soul, Vinyl, Website. Bookmark the permalink.